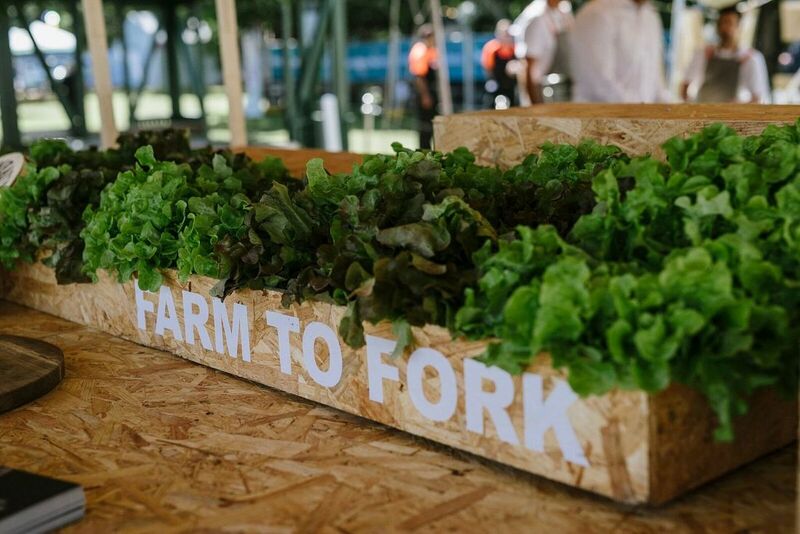 For three delicious days and nights, the heat will be turned up high at the 2018 Noosa Food & Wine Festival, says local foodie Helen Flanagan. The recipe is simple. Take bunches of talented chefs, wine experts, producers, providores and rising stars, whisk in entertainment, spice it up with events at one of Australia’s hottest destinations under tipis on its Main Beach, in the exclusive festival village, at local restaurants, master classes, hinterland produce and brewery trails, a long lunch on Hastings Street, and if that makes you dizzy, you can awaken your senses with yoga on the sand. 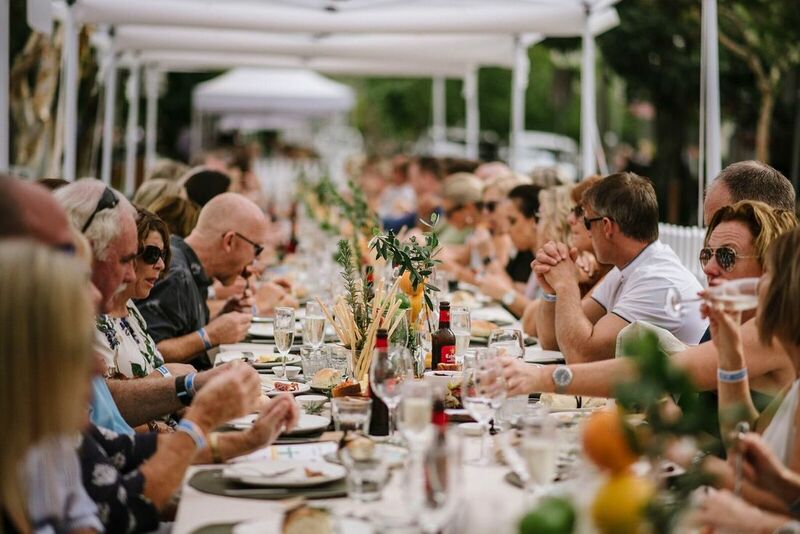 Check the Noosa Food & Wine Festival 2018 program and be dazzled by a plethora of events from Friday 17 to Sunday 20 May. 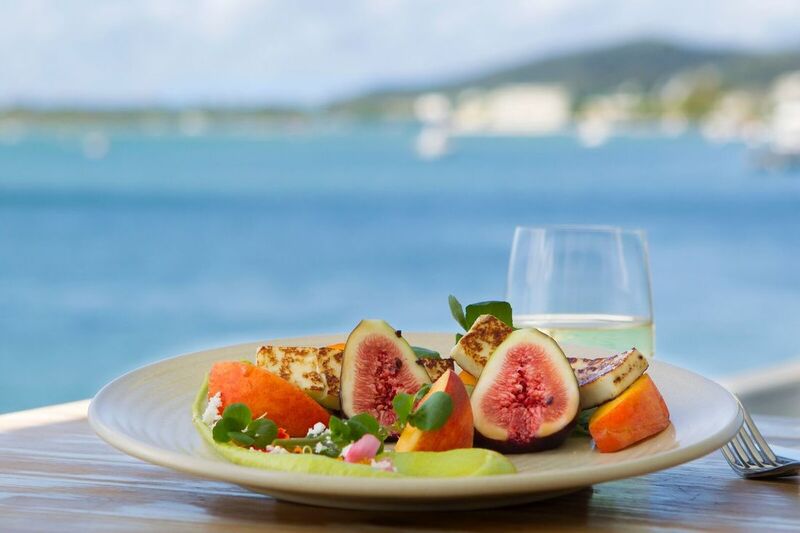 So, what’s on Noosa’s ultimate a la carte menu and where does salivation begin? Join restaurants Bistro C, Boardwalk Bistro and Rococo in the beach tipis for Under the Moon In May, a sublime night of food, wine and entertainment. Rickys Champagne Brunch under the Tipis ‘stars’ Laurent-Perrier, delicious food by Rickys’ head chef Josh Smallwood and chilled Sunday sounds by DJ Mike. Noosa Amour on the Beach, is a four-course lunch extravaganza presented by aromas Noosa, Rickys, Locale Noosa and Wood Fire Grill. 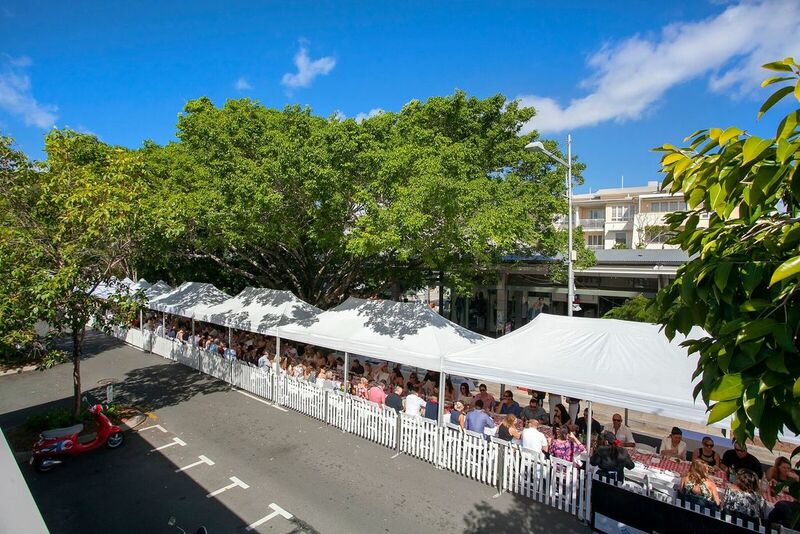 The Long Lunch on Hastings Street, one of the Festival's most popular events features Noosa Beach House, Season, Boardwalk Bistro, Aromas, Locale, Bistro C, Café Le Monde and Rococo. 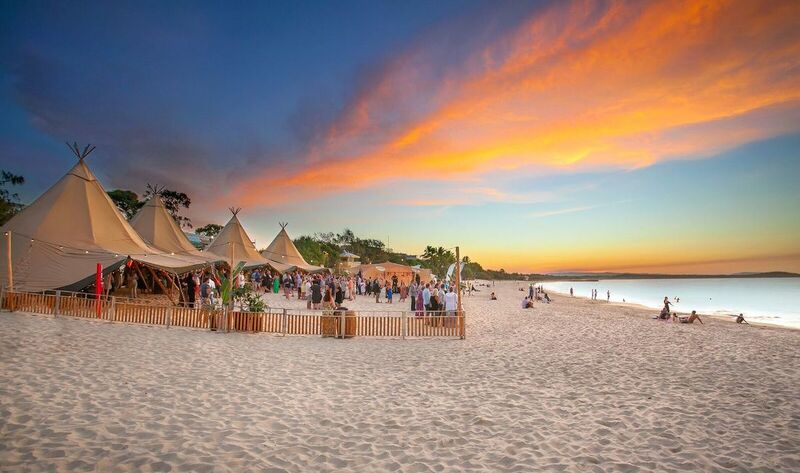 Tipi Aperitivo Closing Party is all about feeling sand between the toes, sipping Dal Zotto wines the perfect match for fantastic food from Noosa Boathouse chef Shane Bailey and Views’ chef Matt Golinski, and kicking up your heels with live music by Honey. The Festival Village will return to the Noosa Lions Park with key events such as: Producers Pavilion to discover the delights of some of Australia’s finest artisan producers; Taste of Noosa with local favourites such as Sum Yung Guys, Embassy XO, Padre Coffee, View Restaurant, Arcuri, Village Bicycle and Providore on Hastings will be serving the best of the best; the Craft Beer & Cider Corner is sure to be a winner. Olsson's Salts will be presenting a series of master classes from a Padre Coffee with Fay Kamanis and Marinus Jansen; Smoking With The Locals with chef Zeb Gilbert of Wasabi Restaurant and Chris Fuller from Kin Kin Native Honey; Giovanni Pilu and Bottarga Pilu; Matt Wilkinson uses Olsson's Salts at Home Masterclass with wine pairing included; Cape Mentelle - Quintessential Margaret River; and Kirsten Tibballs Sweet Temptations on Saturday. Just a few of the celebrated chefs coming to Noosa, where they hail from, and giving cooking demonstations are: Miguel Maestre (Maestre Family Food), Colin Fassnidge (Banksia Bistro), Alessandro Pavoni (Ormeggio), Christine Manfield, Kirsten Tibballs (Savour Chocolate & Patisserie School), Adam D'Sylva (Coda/Tonka), Zack Furst (Ides), Charley Snadden Wilson (Embla), Lauren Aldridge (Stokehouse), Alanna Sapwell (St Peter), Emma McCaskill (The Pot Adelaide), Jo Barrett (Oakridge), Nick Stanton (Ramblr), Victor Liong (Lee Ho Fook), Matt Stone (Oakridge), Monty Koludrovic (Icebergs), Brendon Barker (Madam Wu), Massimo Mele, Jordan Toft (Coogee Pavilion, Merivale), Matt Wilkinson (Pope Joan), Analiese Gregory (Franklin), Shaun Clouston (Logan Brown,NZ), Giovanni Pilu (Pilu at Freshwater),Tony Percuoco (Tartufo), Paul Carmichael and Kylie Javier Ashton (Momofuku Seiōbo).